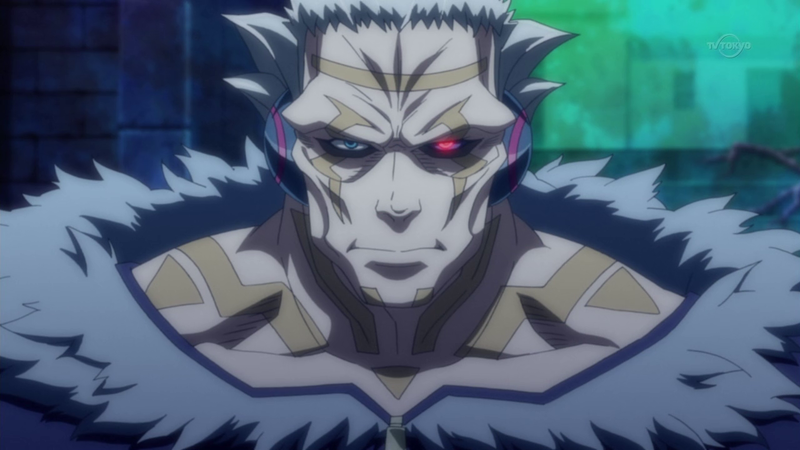 Sergey Volkov (セルゲイ・ヴォルコフ, Serugei Vorukofu) is known as an infamous criminal known The Duelist Crusher who was re-purposed as one of Jean-Michel Roger’s key enforcers in his takeover of the City. At some point during his life (presumably after he was recruited by Roger), he received cybernetic implants and became a humanoid cyborg. Sergey is a very tall and muscular individual, towering above most other characters. He wears a full-body riding suit with green and purple parts, which are separated by a red lines. There are spikes on the elbows, around his middle and on bracelets. The suits opening is very broad, exposing a lot of skin from his upper torso, showing the many criminal marks he has on his head, neck and upper torso. His left eye is technological in nature, being a high tech scanner which can also provide Roger with a live feed of Sergey’s view. His right sleeve was torn open during his Duel with Zuzu Boyle and his arm was scarred, but his left arm appears to be completely mechanical and contains his Duel Disk, in a similar manner to Rex Goodwin. His legs were later shown to contain booster rockets, allowing him to accelerate explosively and fly. 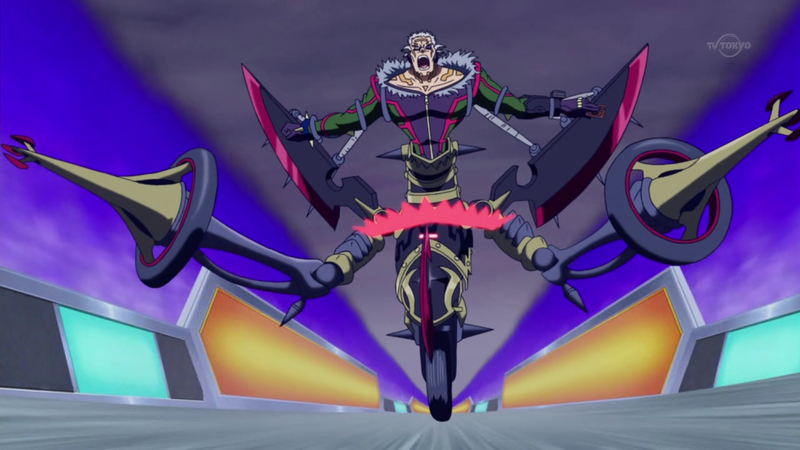 When merged with his Duel Runner, he comes out on top of the converted machine, riding single-wheeled with the former front wheels acting like extendable arms. 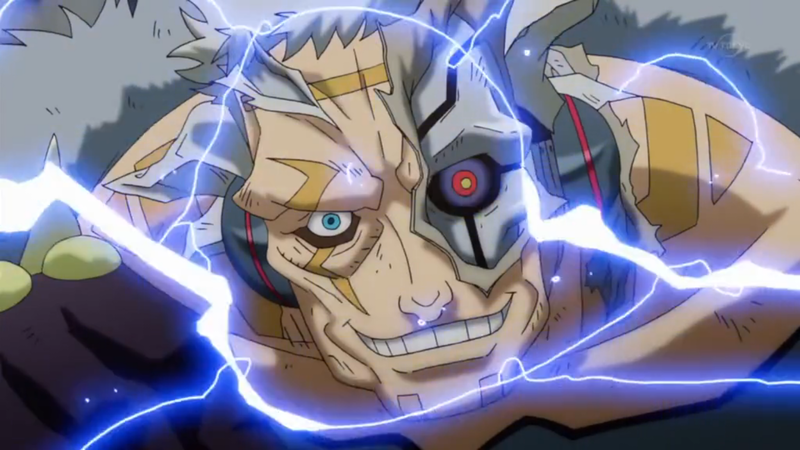 Towards the end of his life, his identity as an actual humanoid cyborg is shown, as he consists of metals, wires, machinery, and scraps covered up with a humanoid appearance. Sergey is a sadomasochistic Duelist who Duels in a cruel manner, similar to Yami Marik and Kalin Kessler. He continually inflicts damage to himself without attempting to stop it in addition to reveling in his own pain. He revels in the suffering he causes towards his opponent. 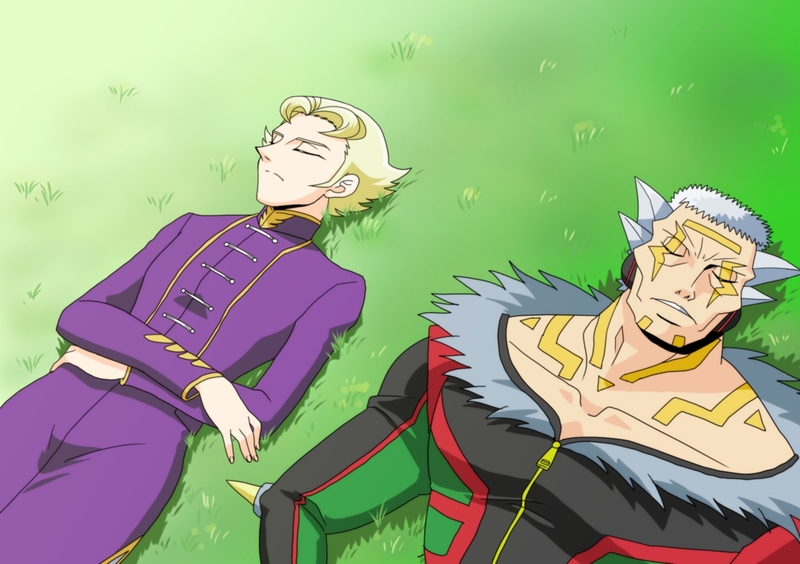 He enjoys giving his opponent a false hope of victory and then crushing them, being submissive for most of the Duel, then defeat them with overwhelming power. However, these personality traits are usually restrained by Jean-Michel Roger through the use of a mind-control device. When Sergey gets highly excited or surprised by illogical Dueling behaviour however, the mind control breaks partially, revealing his own hot-blooded nature, expressing his love for ‘beautiful’ duels. This obsessive desire is worth everything to him, refusing rescue from a fatal fall so as not to ruin the moment. His idea of beauty, however, still remains as the process of destruction. 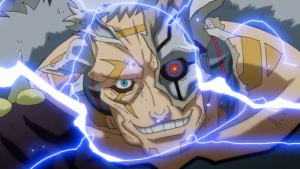 Sergey’s abilities are all primarily products of his cybernetic body, which Jean-Michel Roger describes as the “ultimate living Duel machine”. He has incredible strength; he is able to effortlessly break through a solid wall with little acceleration and easily beat down multiple individuals with hand-to-hand combat training. He can produce his Duel Disk directly from his cybernetic left arm, and he can boost across the ground at high speeds and fly with the rocket boosters built into his legs. 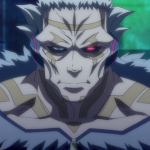 Like the Three Pure Nobles and their true form, he can merge with his Duel Runner, although, unlike them, his body does not undergo any visible transformation. Due to his enhanced left eye, he can also scan cards on the field or ahead of him to further his strategies. There seems however to be some degree of side-effects to his cybernization. The most recurrent of them is a visible mental instability which tends to trigger when he becomes excessively excited, causing him to lose restraint and Roger losing partial or total control over him, unless captured and submitted again. 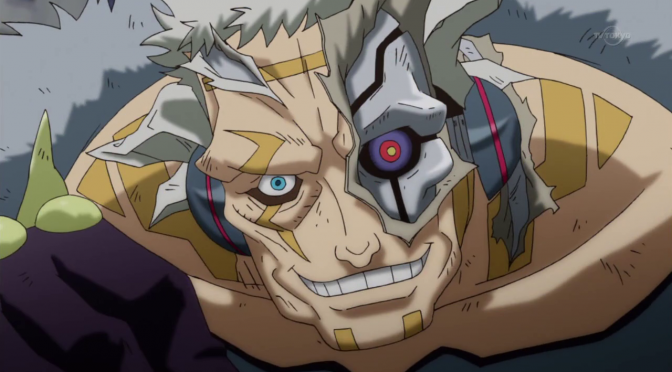 His left eye which is also connected to an internal computer seems to be sensitive to information, as an apparently illogical play during a Duel is enough to trigger an error display and briefly disable his attention. Sergey initially runs a “Thorn Prisoner” Deck. His Deck focuses on the reduction of his own LP at a calculated rate through the effects of his monsters and through Thorn Counters. To facilitate this, his monsters all have 0 ATK and DEF. Sergey can use both Synchro Summoning and Fusion Summoning to bring out his key monsters to capitalize on his low LP and inflict large amounts of damage. Later, he switches to an “Earthbound” Deck. Like his previous Deck, it focuses on Fusion and Synchro Summoning. The main strategy of this Deck is to simultaneously Summon Fusion and Synchro Monsters, by using the same materials for both Summons with the effect of “Underworld Resonance – Synchro Fusion“. Some of his cards also gain effects when the Field Zone is occupied.